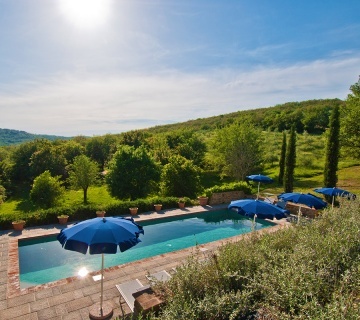 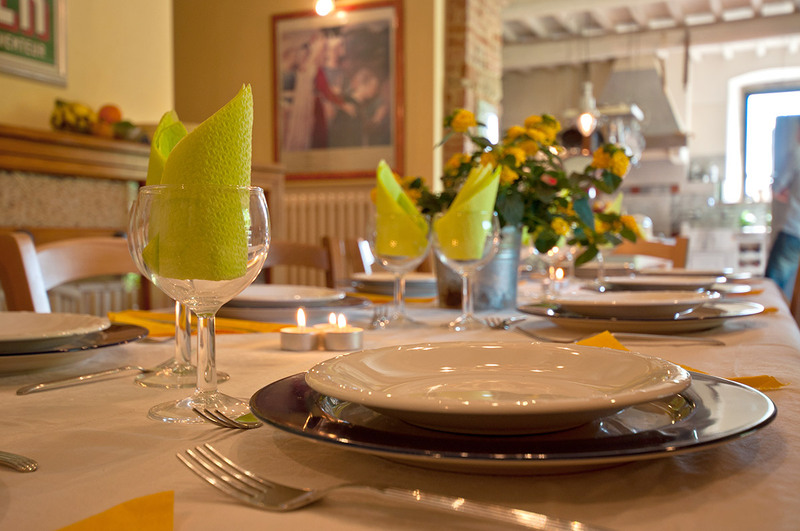 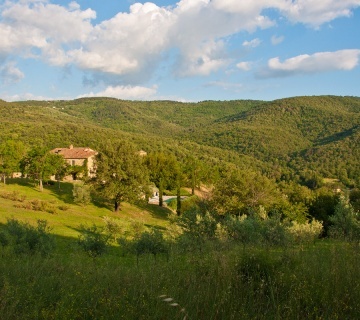 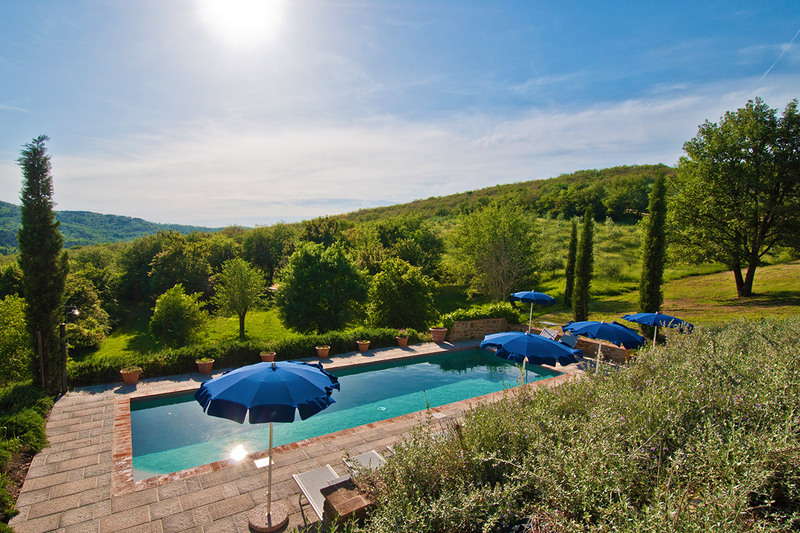 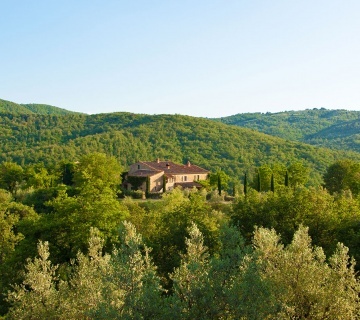 The Villa has an amazing panoramic view on the surrounding hills and the green nature. 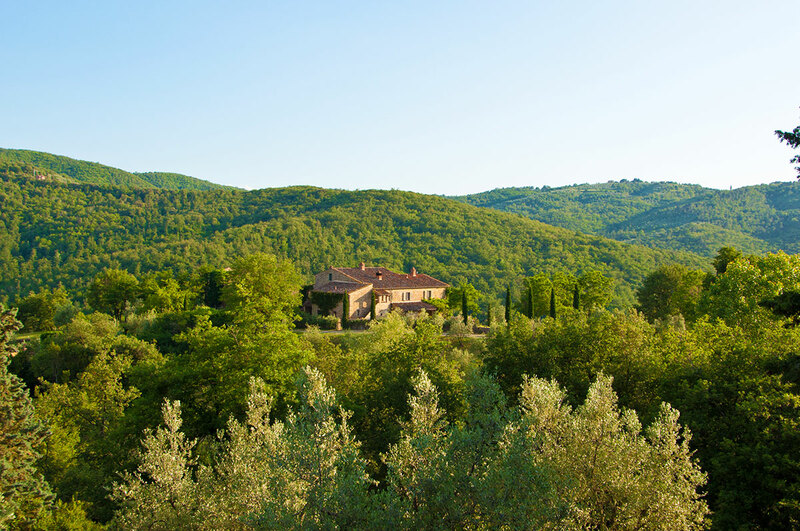 The many olive groves around will surprise you; every season is different but always beautiful. 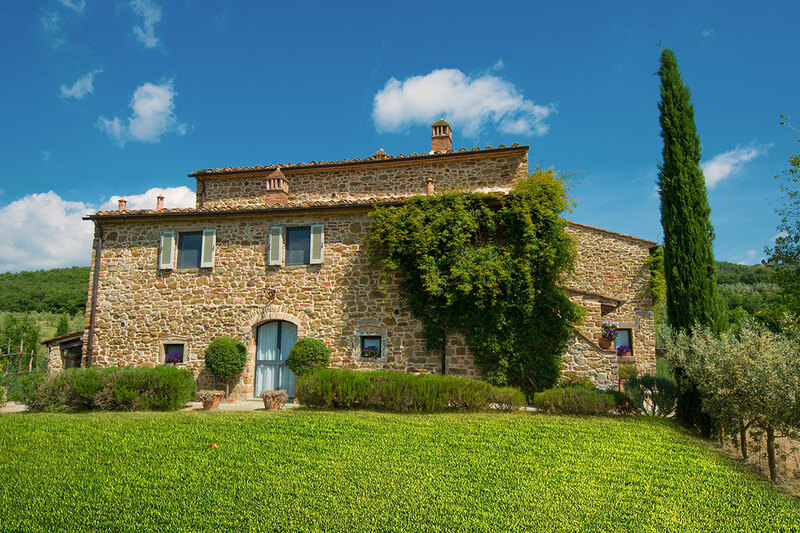 The nice vineyards nearby emphasize the beauty of this territory. 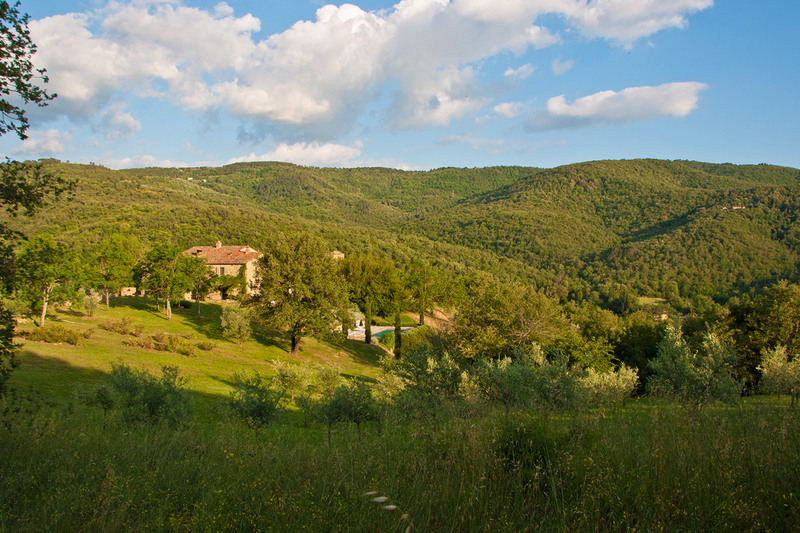 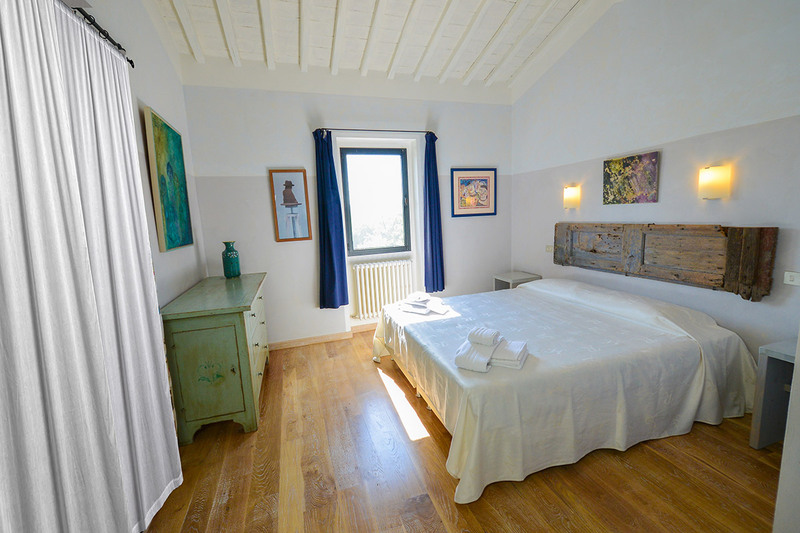 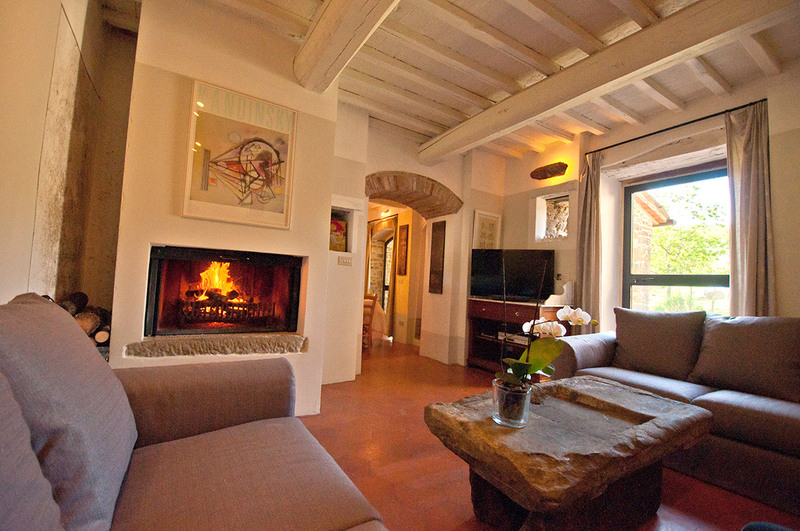 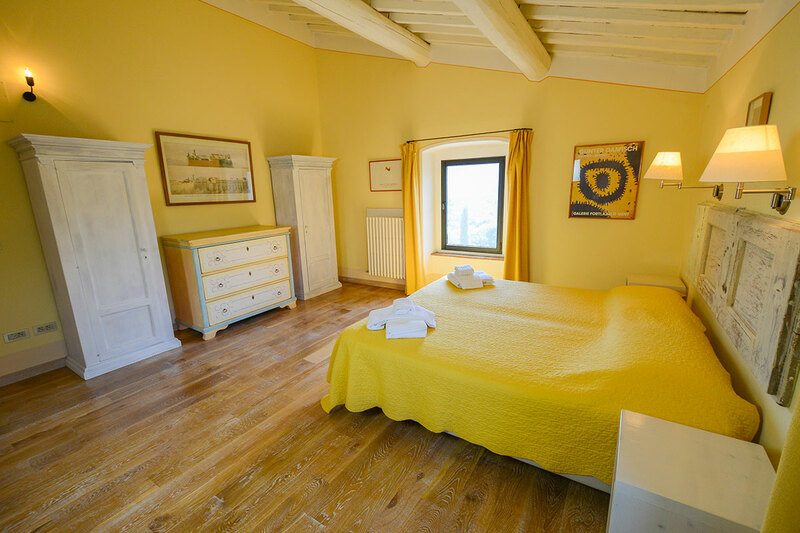 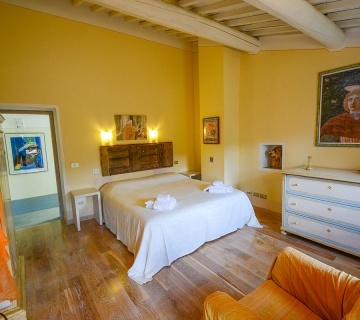 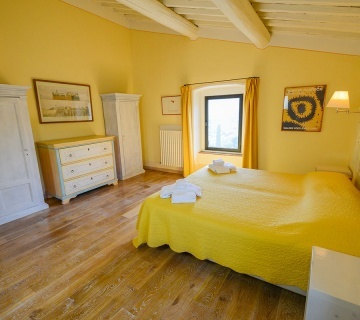 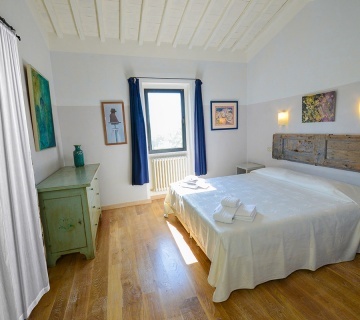 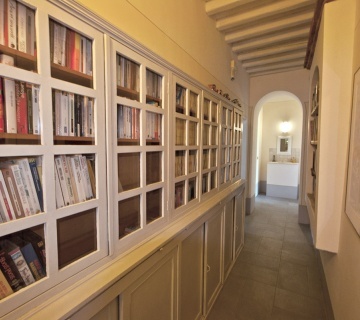 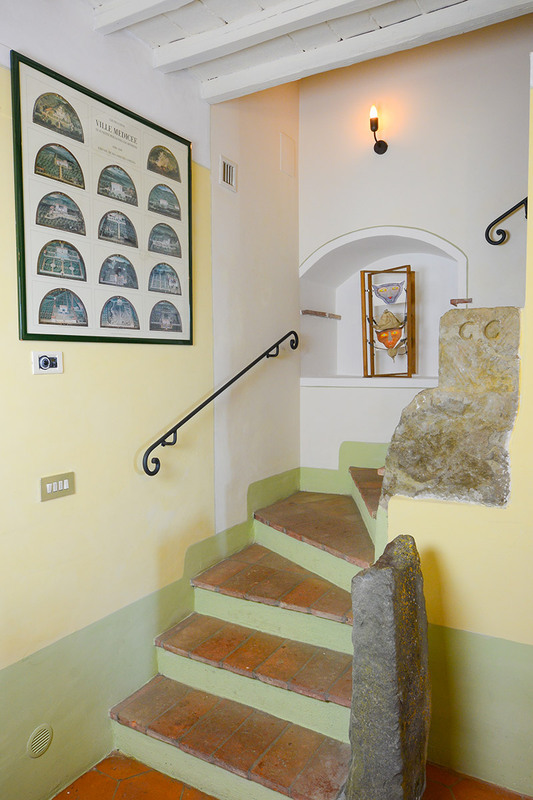 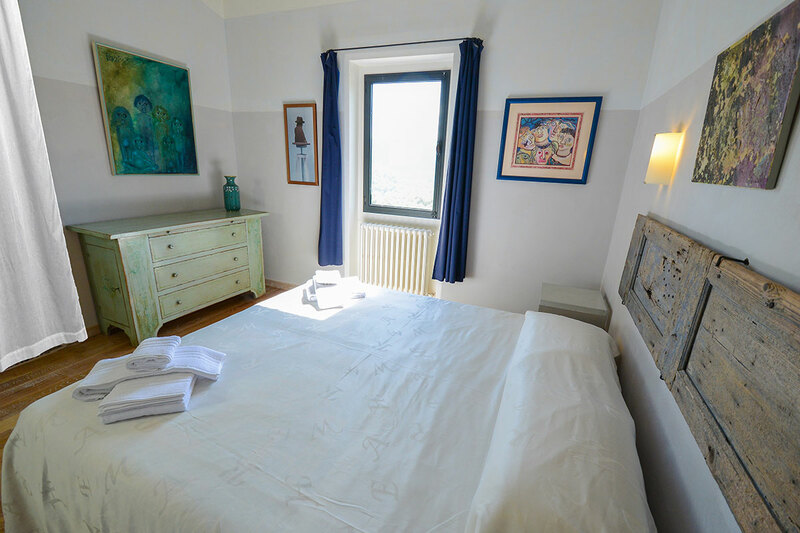 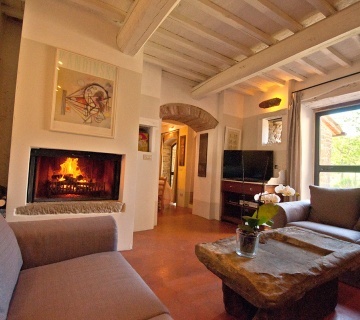 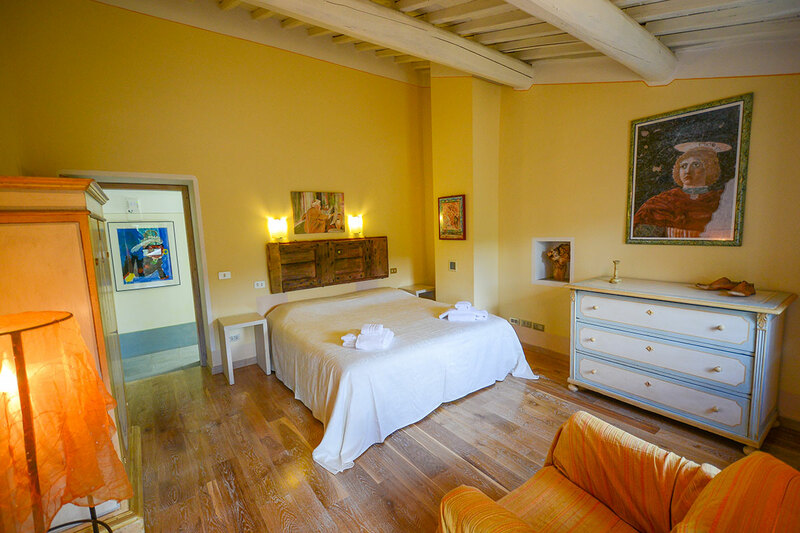 From the villa you can also spot the lovely medieval village Civitella, located on the top of a hill. 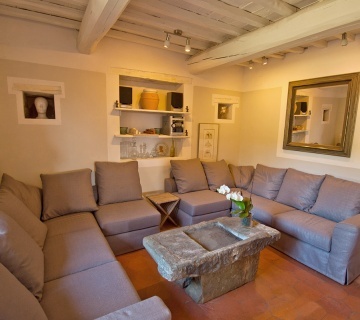 A perfect place to drink a glass of wine, have a nice dinner... enjoy the moment! 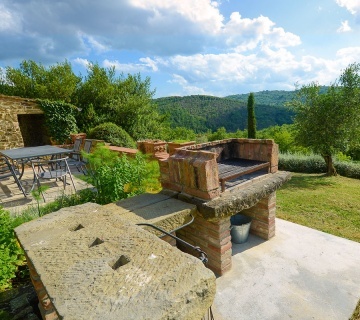 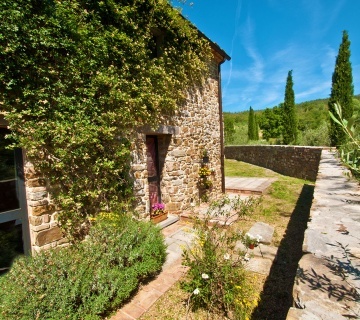 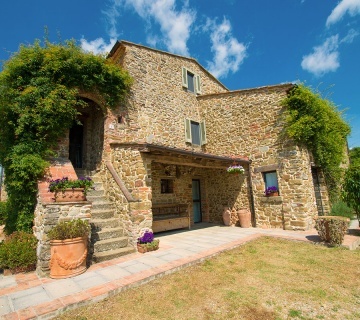 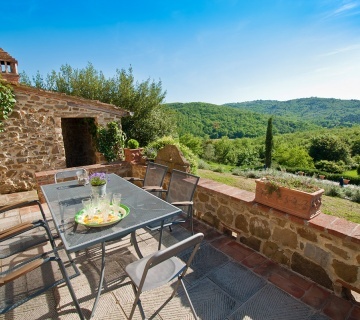 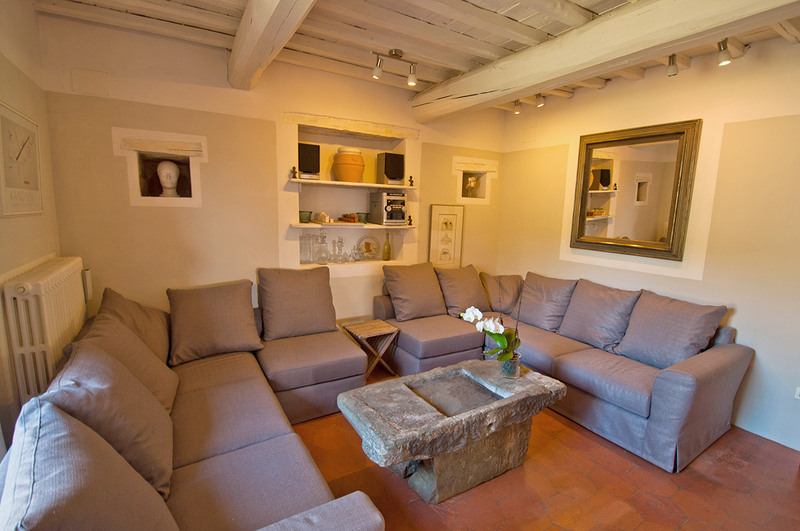 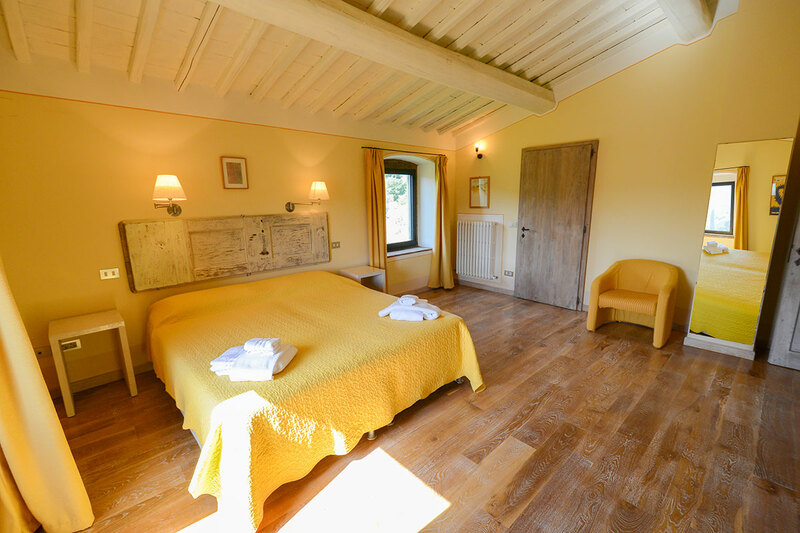 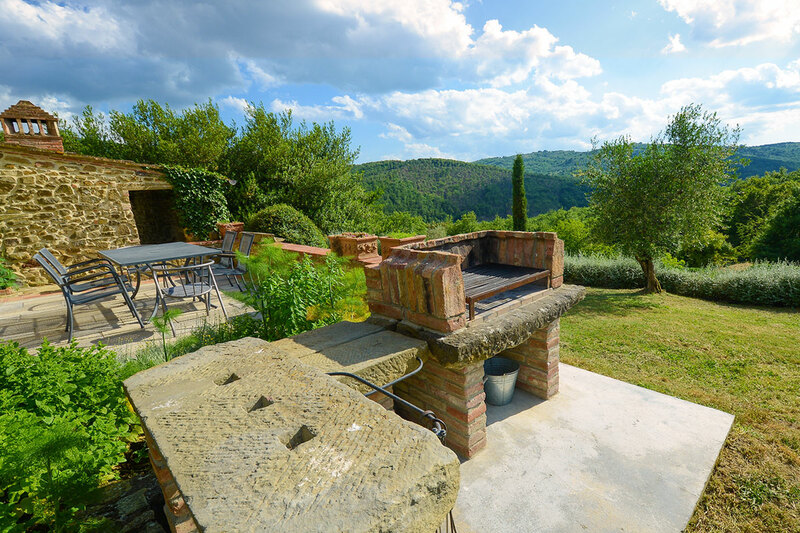 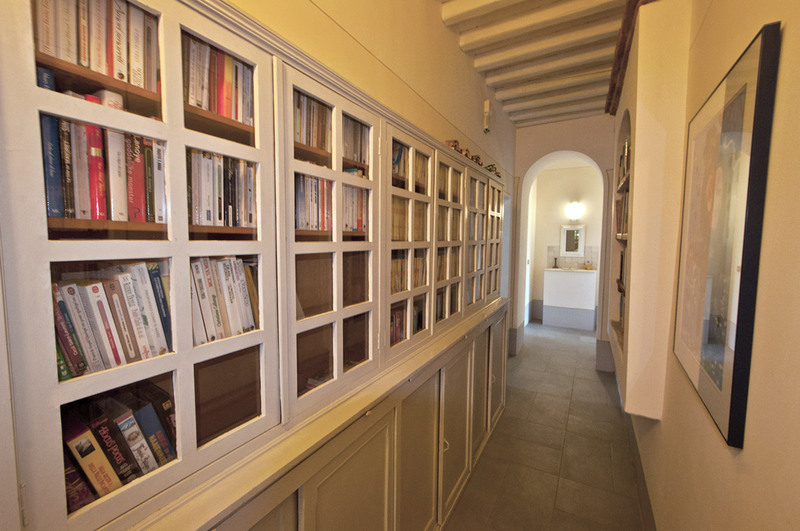 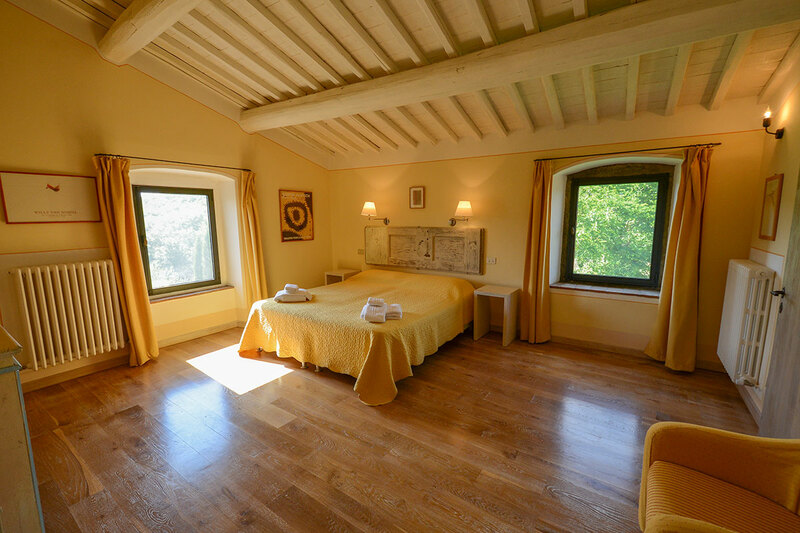 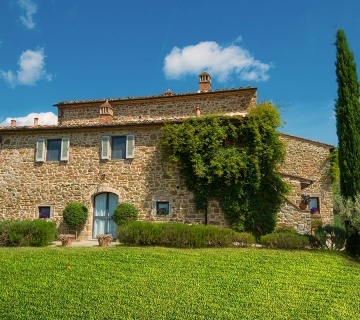 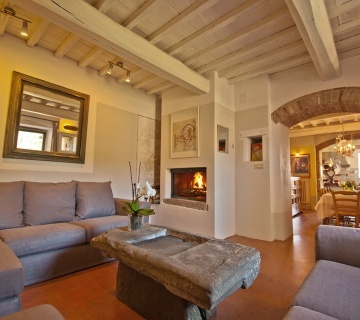 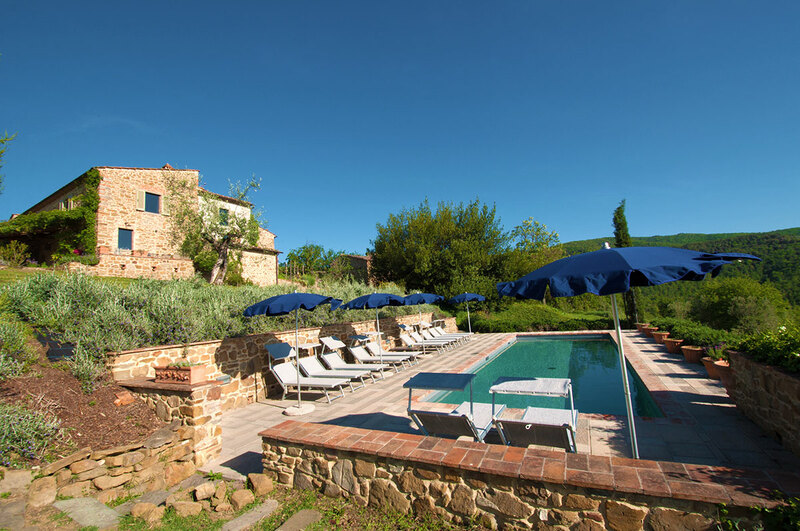 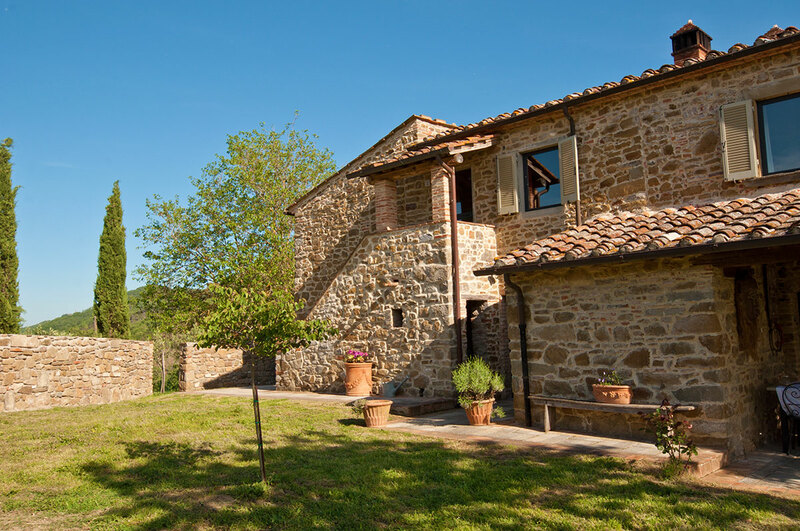 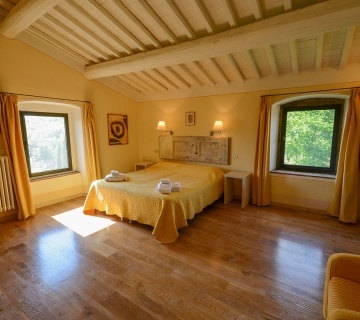 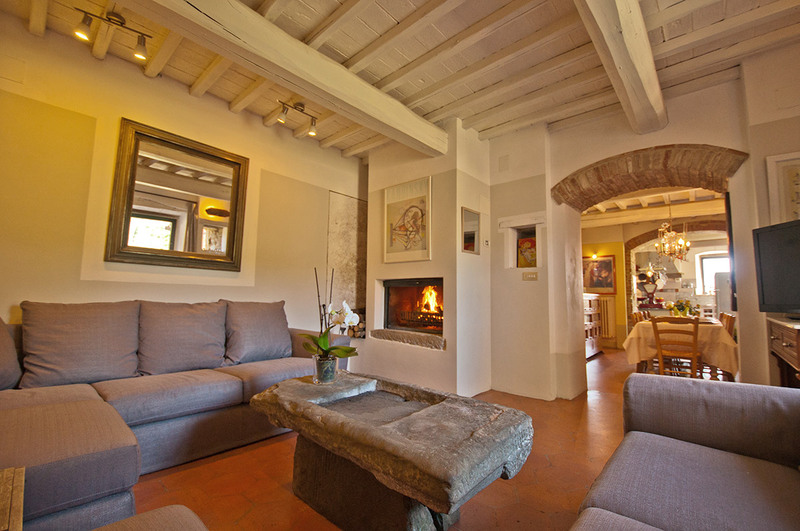 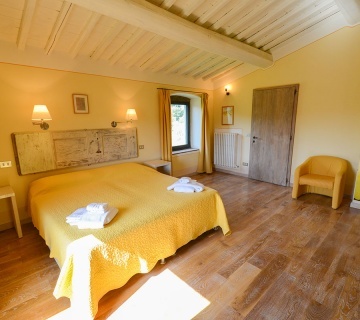 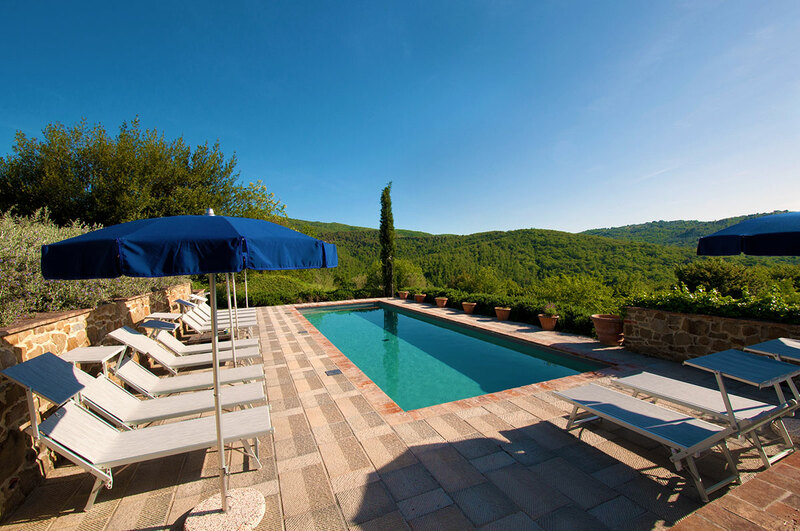 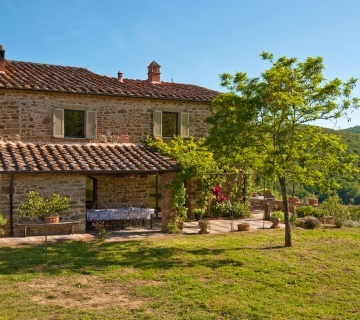 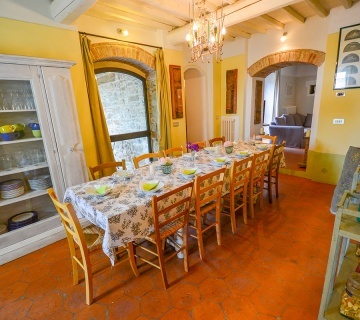 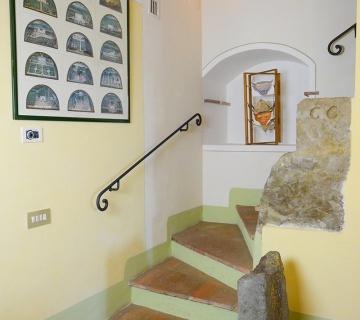 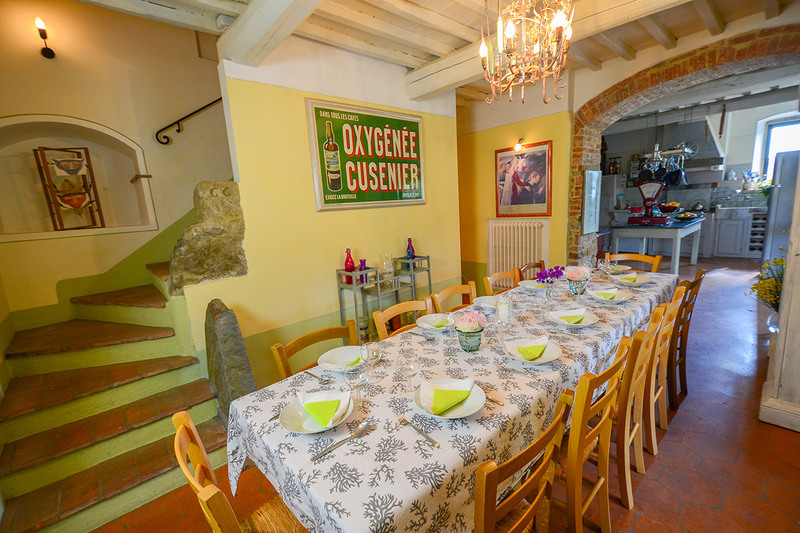 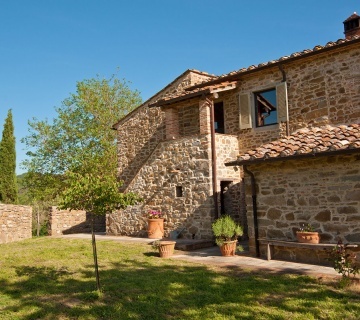 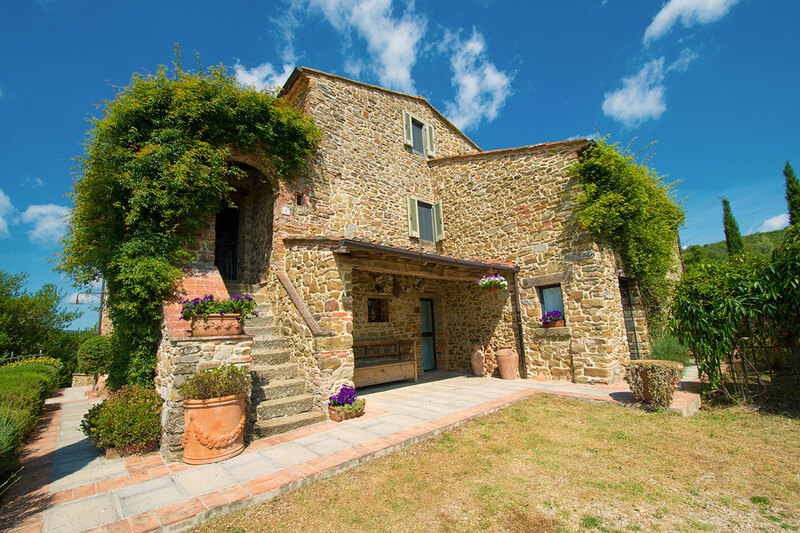 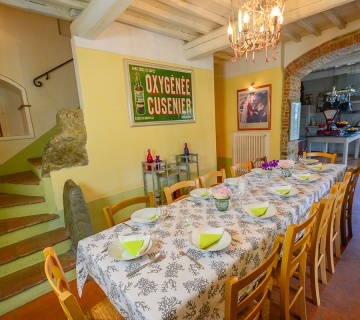 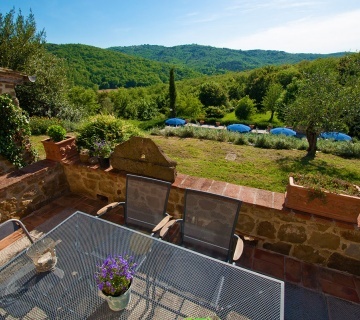 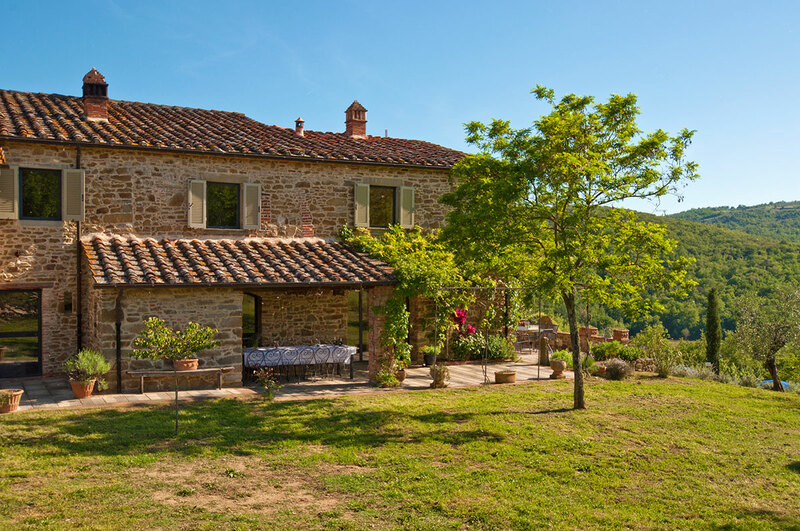 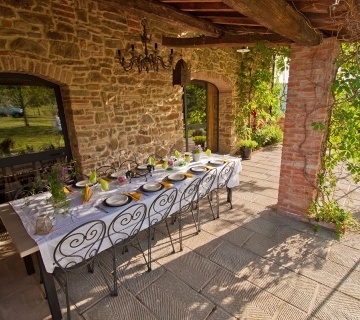 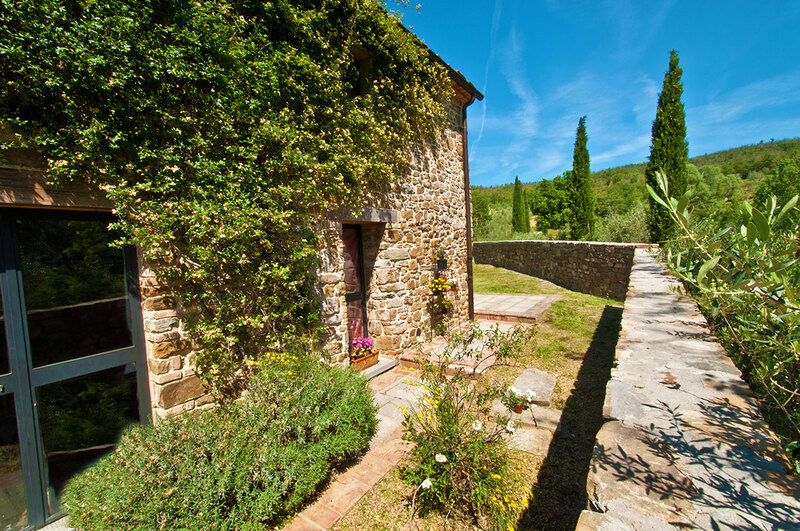 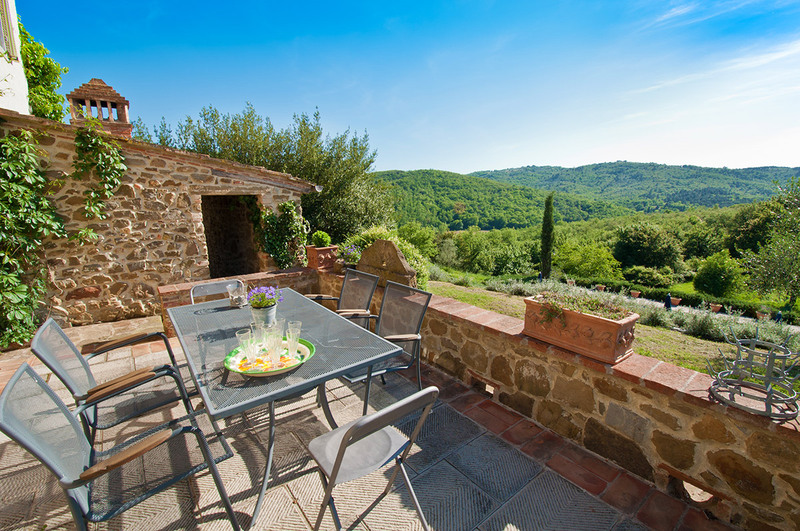 The detached country house with swimming pool benefits of an ideal position, close to the Chianti-shire and only a few kms away from the most important art cities, such as Florence, Siena, Arezzo and Cortona. 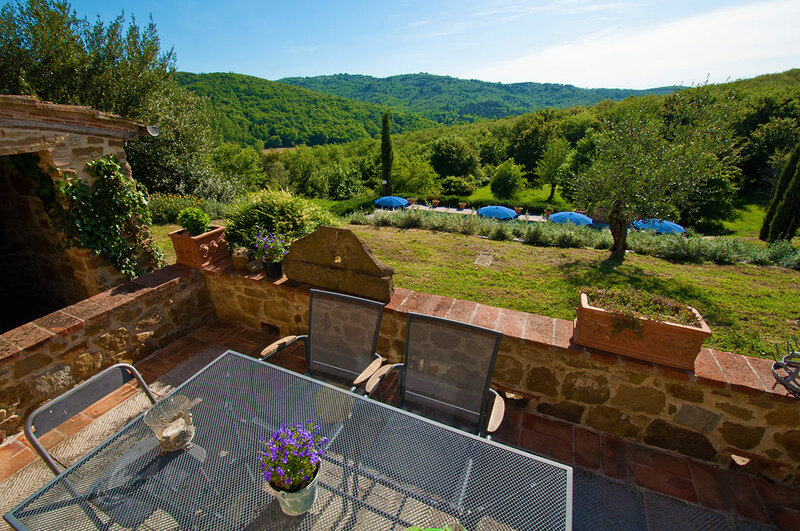 After visiting those busy cities, you will enjoy a peaceful silence again and breath fresh air in Caccianello. 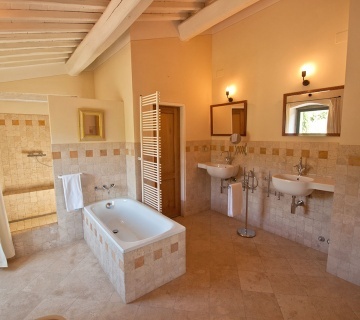 First floor: 6 bedrooms, 4 large bathrooms with windows. 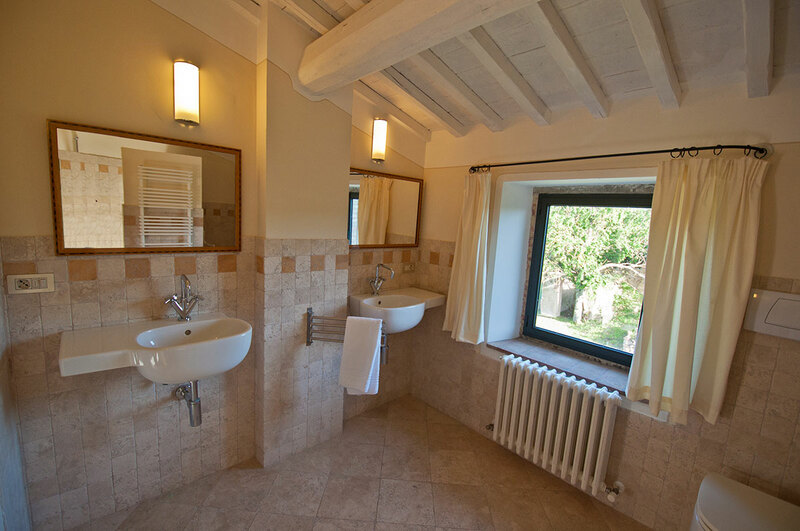 Thermostatic taps in each bathroom. 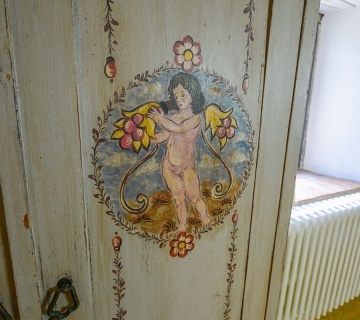 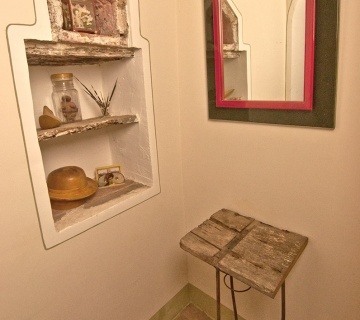 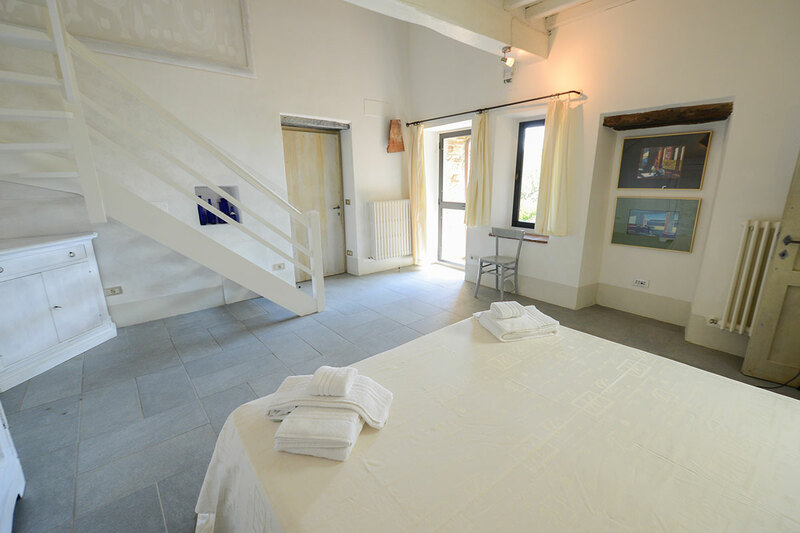 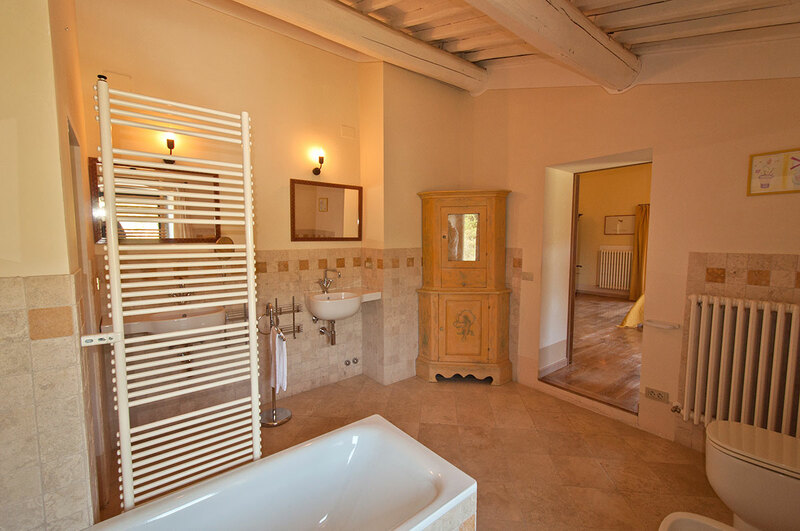 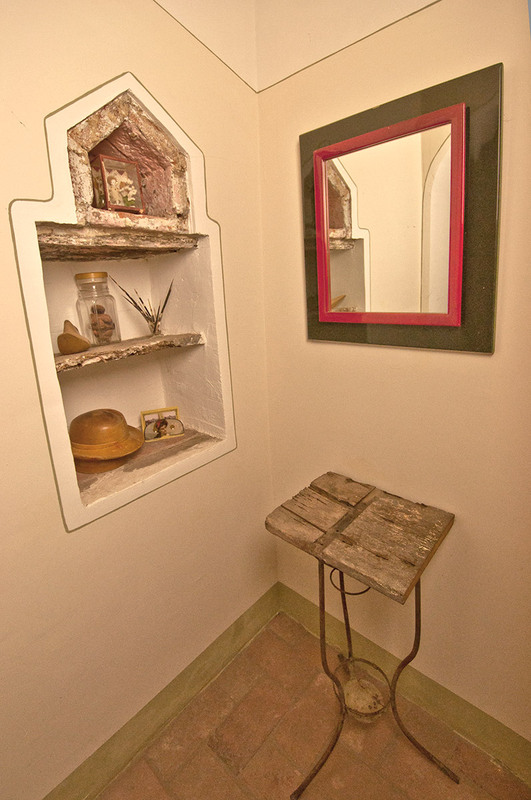 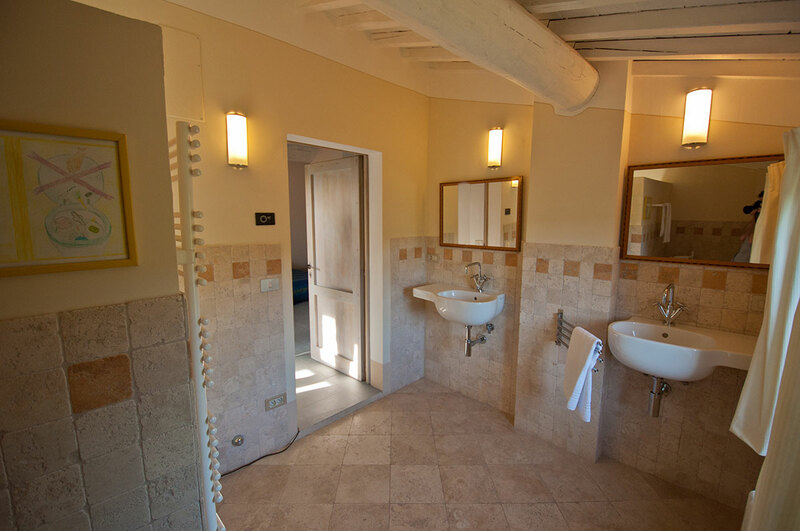 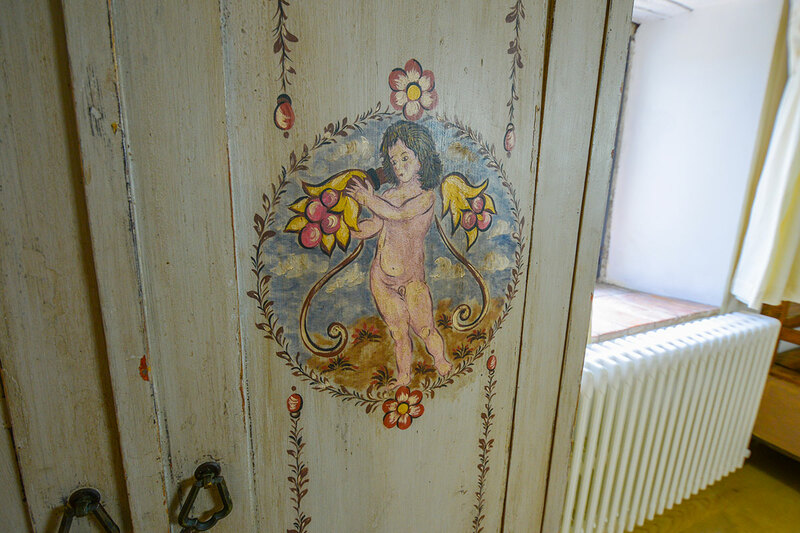 A double room with ensuite bathroom, bathtub and large shower (+ 2 sinks, bidet, WC) and wardrobe in the bathroom. 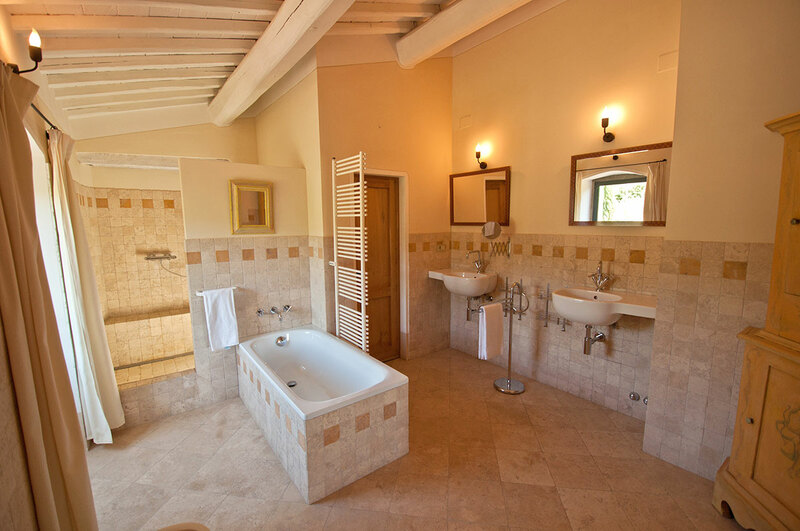 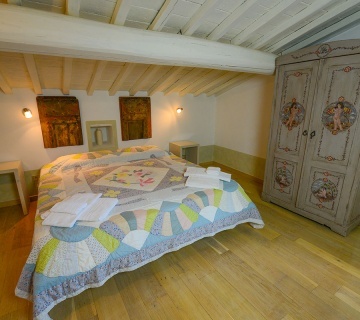 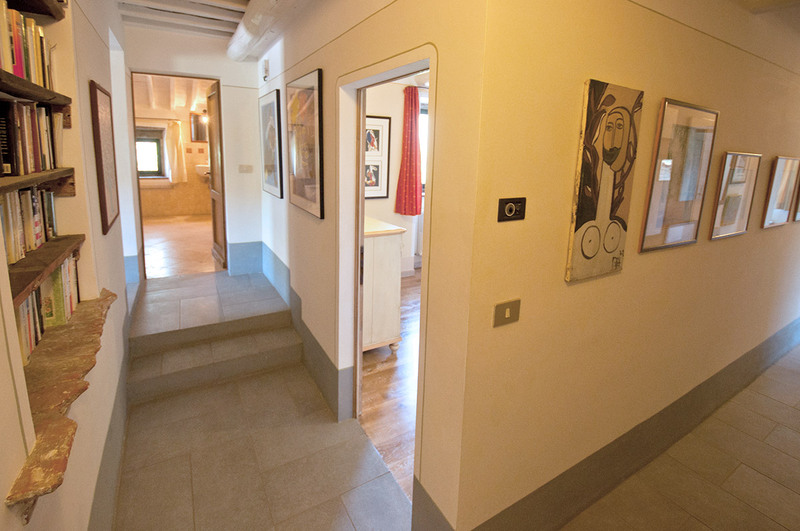 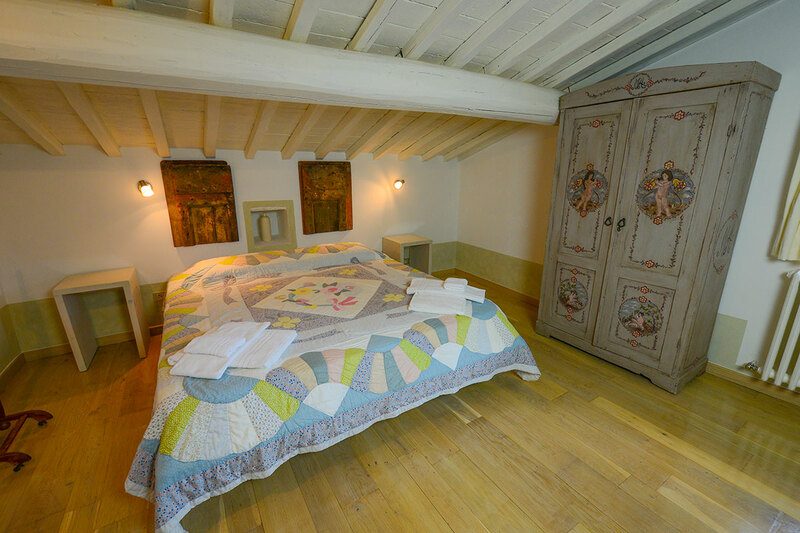 A double room with ensuite bathroom, large shower (+ 2 sinks, bidet and WC) and outside stairs going down to the garden. 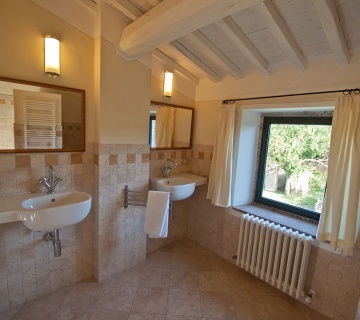 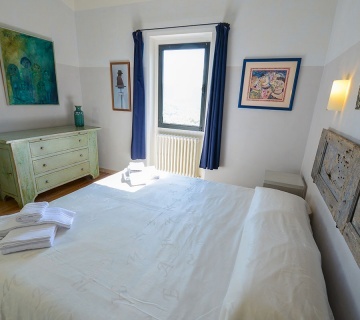 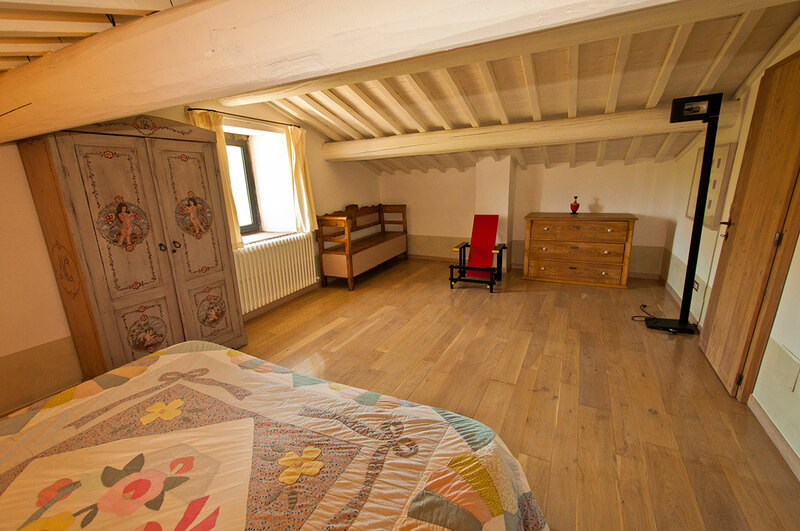 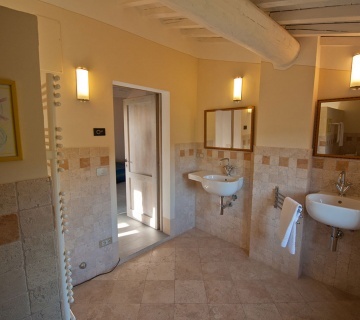 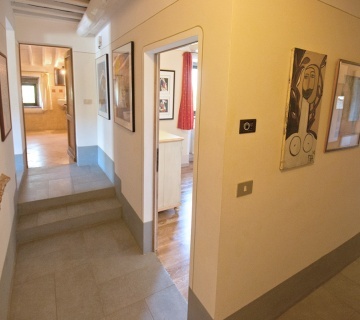 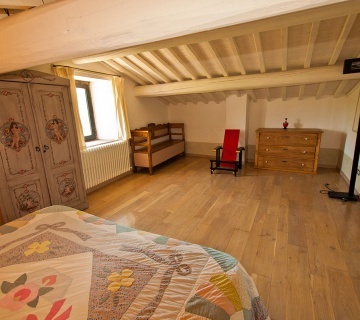 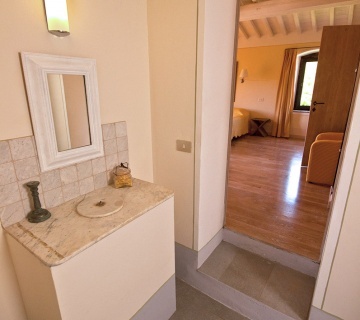 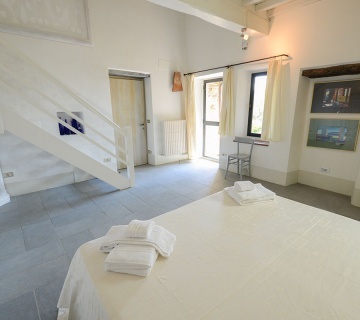 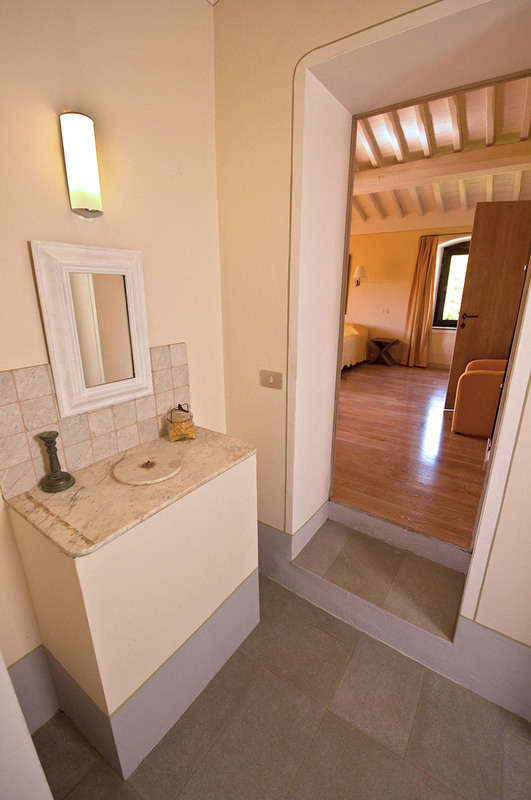 A twin room with ensuite bathroom and large shower (+ 2 sinks, bidet, WC). 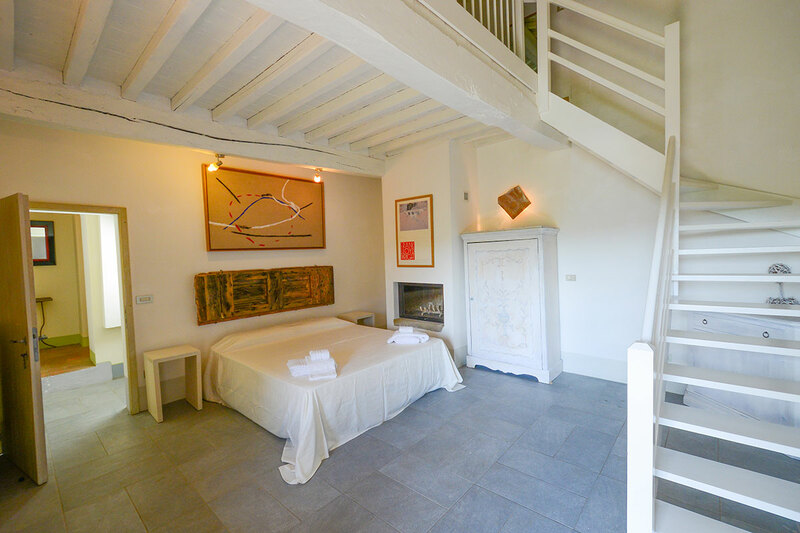 Mezzanine giving access to an attic converted into a large double room. 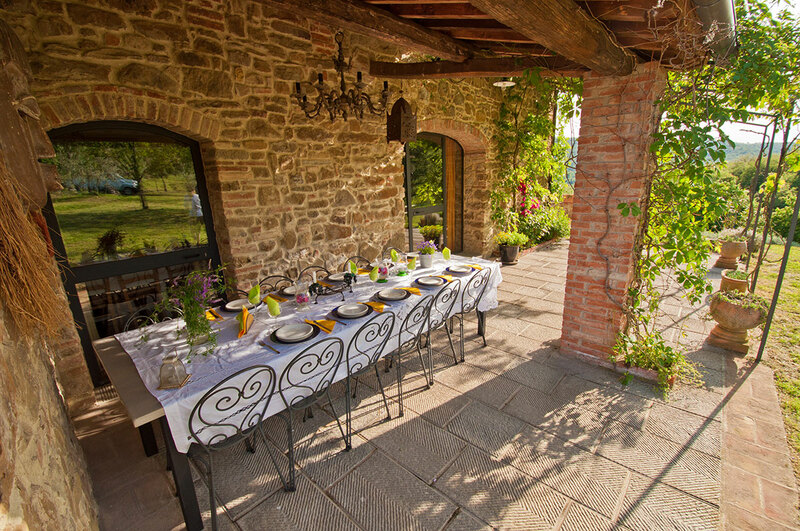 Terrace with stairs leading to the garden. 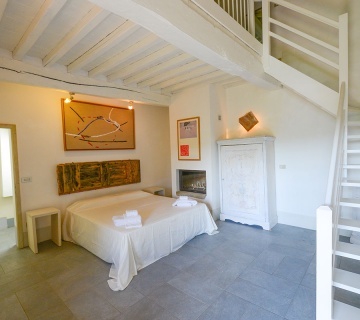 A studio/room (outside stairs leading to the garden) with one or two additional single beds on request. 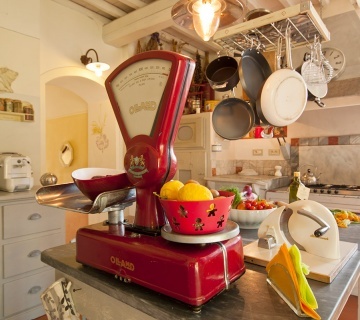 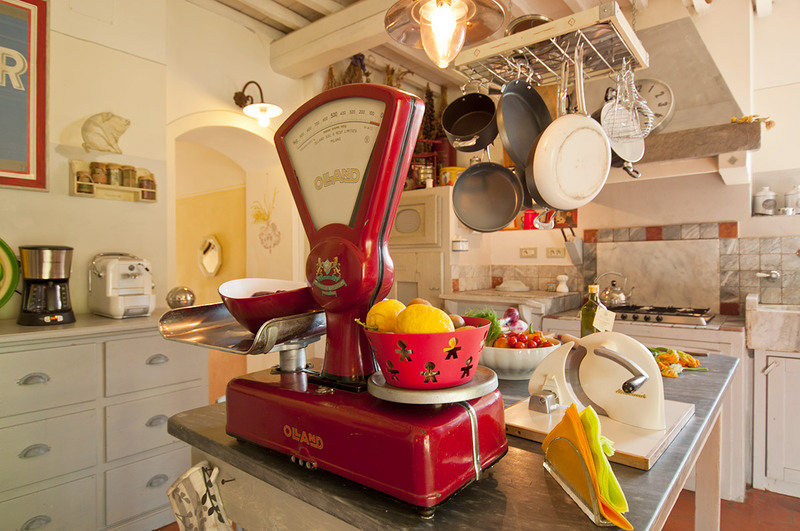 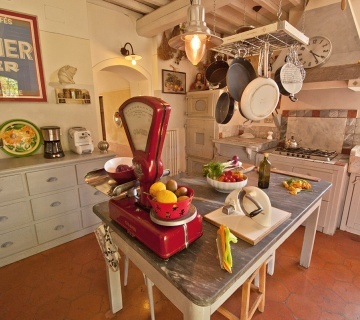 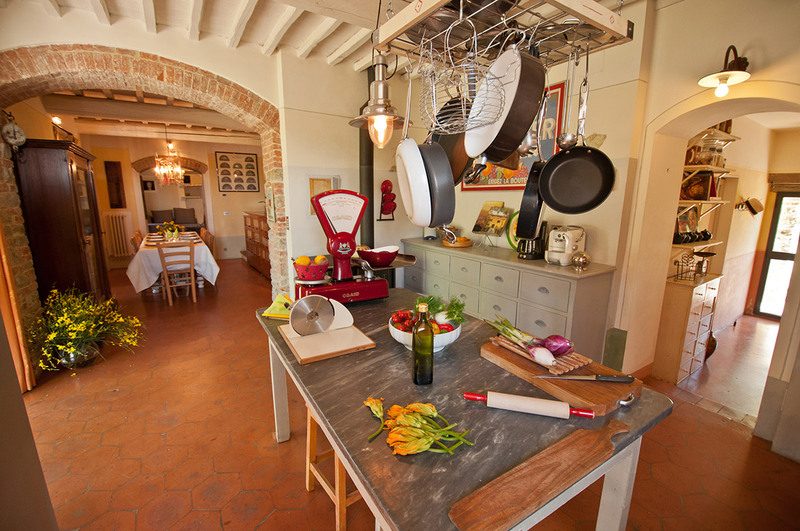 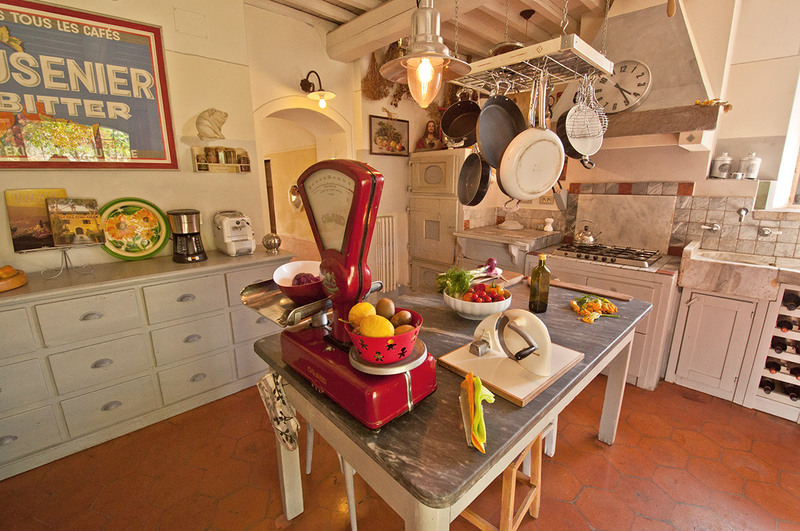 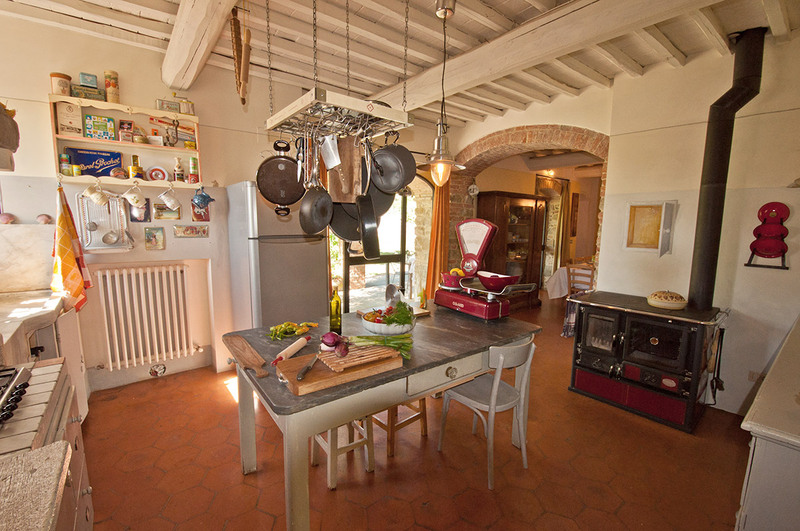 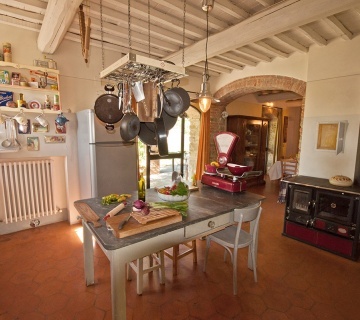 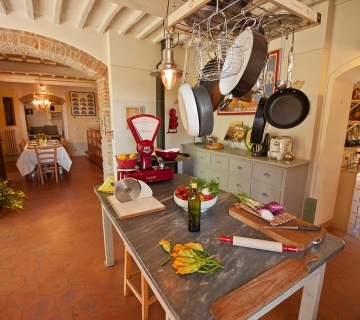 Large kitchen with stove and 5 hot plates, american fridge and freezer, toaster, dishwasher, oven, microwave, Italian and American coffee machines. 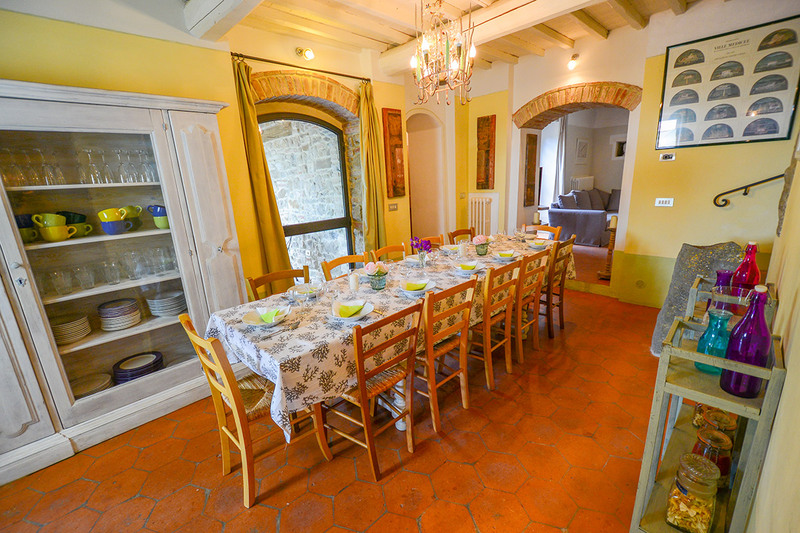 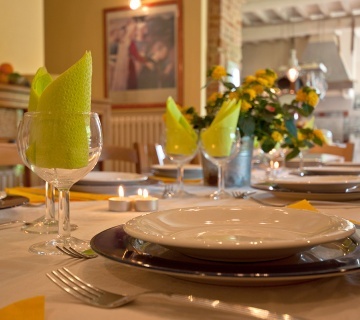 Dining room which can take up to 14 people.